Nokia N97 is one of the best smartphones in the market and is widely known as Nokia’s best fully featured and most powerful phone. Several magazines and newspapers covered a story on Nokia N97 review mentioning that the large touch-display of this phone has refused Nokia fans to switch over to the iPhone. Why not? That is the main USP of this phone. Well, this article is not based on others review, but we have actually used N97 Nokia for few weeks. We have continuously browsed web, read news, checked several sites and also accessed Facebook application. Below are the details about what we found in it. The sound quality is awesome with powerful sound quality and the dialing of numbers is easy, but dialing a contact is little complex. To browse the contact list there are facilities of either scroll and click or type a name and then click. The virtual numeric pad (keyboard) easily replaces the physical one in all the applications except in typing a name for dialing. The phone asks, each time while dialing, whether you want to place a video call. There is no point asking every time because it is hardly seen people using video calls. I did not find the option to skip this question. Well, answering any call, placing on hold or hang up is easy. Nokia N97 is purely used as a touch phone. Good job by Nokia. The interface is highly user-friendly. To avoid accidental clicks vs. drag interpretations Nokia has used a double-tap system. This means the first tap is for selecting and the second one is for launching the application. Few features such as the “Unlock” or “Menu” are only accessible by its hardware buttons and not through the touch display. So, we can say that it is not completely intuitive. If more applications are opened at the same time then the phone becomes slow. There is no “close all apps” icon on homepage. So, one has to close all the apps one by one. Nokia N97 has one of the best homepage widgets implementation among all other smartphones. In this the widgets are not messy as we found in OMNIA. The screen space is maximum in it. The default homepage has Facebook included. We noticed that sometimes the phone lacked to provide real-time content. Moreover, the widgets cannot be interacted directly from the homepage. Nokia N97 has too many email options. Email arrives instantly in it but the phone does not use the cache feature. So, it spends time doing a “sync” from scratch. GMail in it had all the mail server settings. The default navigation app is the best. The Nokia maps are cache on the device and hence it does not download each time. So, one can pre-load the entire city or country while traveling. This will cut down the roaming charges. Well, the map is fast with smooth scroll and zoom in/out features. It can send .Imx files that contains geo-position. The phone is a good browser. Almost every sites were well browsed. Yahoo Finance and Google Docs were equally good on it. Google Sheets had a problem in both the mode, write and also read-only. Adobe Flash Lite was well supported. YouTube was also perfect as a computer. 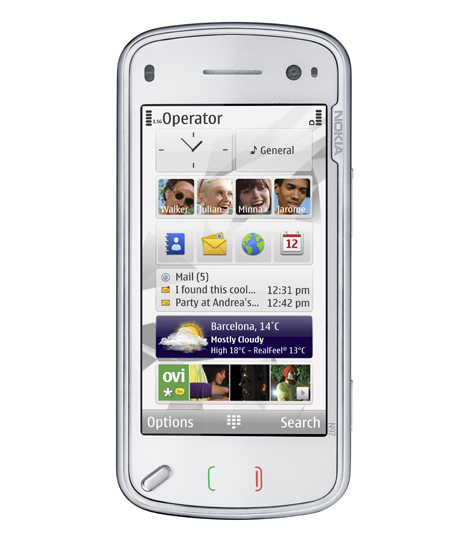 Like any other high end Nokia phones, the N97 can be customised with themes and softwares. To download Nokia N97 themes and Nokia N97 softwares visit the links. For the fans of Nokia this is the best smartphone even though there are few shortcomings. Those are forgivable by them. For those who are not in love with the brand Nokia may try some other smartphones. Well, put down your comments whether you support this view or not. May be, also some more information about the phone for other readers to know it better. 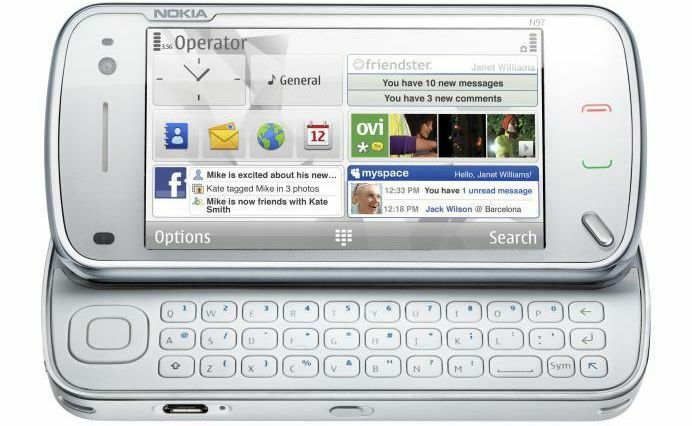 the Nokia N97 features a large 3.5 inch display with a resolution of 640 X 360 at 16.7 million colors. now that is an impressive video display capability isnt it? Form Factor, 32G of onboard memory, Multi-Media feature (excellent video playback, music functionality), radio, S60 community, fully-loaded with Joiku-Spot, Bloomberg, Qik and other productivity apps, beautiful large screen. i bought two units of Nokia N97 because i like the style of this phone and also its features. Best phone i have ever used.